When selling your home, you don’t just need a Realtor® with a license. You need a Realtor® that has one goal in mind: to get your home sold quickly, painlessly, and for the highest price. 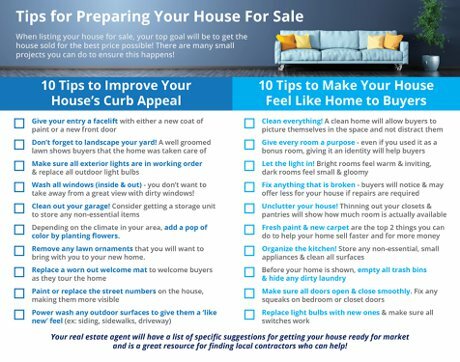 Selling a home does not have to be a difficult task, if setup right from the beginning the process can be very rewarding to you. You need a Real Estate Agent with the skill set, experience and knowledge to get your home in front of as many eyes as humanly possible. A Realtor who utilizes the latest and greatest technology and advertising but also one who has the ability to tie in to the "old school" ways to grab a buyer's attention from both angles. I don't just throw a sign in your yard, put it in the Multiple Listing System and hope for the best. 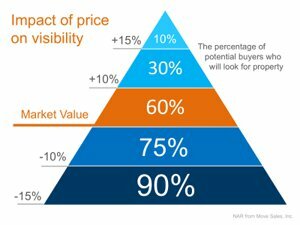 Unfocused marketing techniques, weak negotiation skills, sloppy pricing methods and careless contract prep can cost you tens of thousands of dollars. That is why it is imperative you make sure you have a qualified Real Estate Agent working for you. My Comprehensive Web Strategy for Marketing your Home starts by syndicating your listing to hundreds of portals, not just zillow, trulia, realtor.com. For more information on my listing strategy please see the bottom of this page. The best way to decide on what you need to do to get ready to sell your house, is to put yourself in the shoes of a potential buyer who will be visiting your home for the first time. A buyer’s first impression is based on his or her view of the house from the real estate agent’s car. Take a good look at your house from across the street and see how it compares with nearby houses. Stage your house to inspire buyers so that they will not only see themselves living in your house, but so that they will really want to live there. It is important to talk early on with your agent on the process before you go remodeling the home. Before you go removing walls or replacing cabinets, Remember, this is not going to be your home anymore. A good agent is going to be able to give you an unbiased perspective on things that may help your home sell for more and increase its sell-ability. My job is to always look out for your best interests. Every step of the way I will point out the most aggressive and least aggressive options you would have for each negotiated point. Staying well informed, we will decide on the best strategy. Every house is different and unique, so are your reasons for selling a house. let me know a bit more about your house and your situation.